Novelist Ruth Prawer Jhabvala, whose scripts for Howards End and A Room With A View earned her two Oscars, has died at home in New York at the age of 85. Ruth Prawer Jhabvala made more than 20 films with producer Ismail Merchant and director James Ivory over 40 years. The writer also won the Booker Prize for her 1975 novel Heat and Dust, meaning she was the only person to have won an Oscar and the Booker. Born in Germany, Ruth Prawer Jhabvala fled the Nazis as a schoolgirl in 1939 with her parents and brother to begin a new life in Britain. She spent much of her life in India. 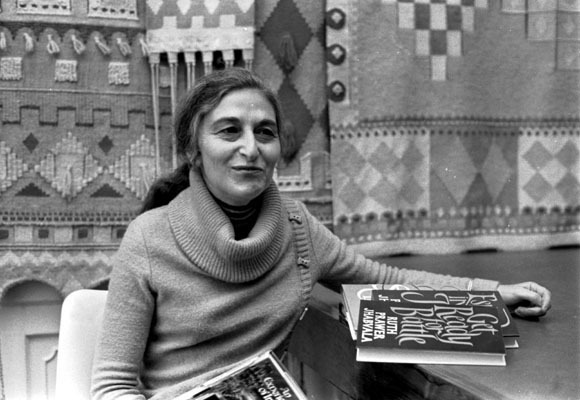 Ruth Prawer Jhabvala had been suffering from a pulmonary disorder and is survived by husband Cyrus and daughters Renana, Ava and Firoza-Bibi. After meeting her future husband in London, Ruth Prawer Jhabvala moved with him to his native India in the 1950s, where she was visited by Isamil Merchant and James Ivory to ask if they could make a film of her 1960 novel The Householder. She agreed to write the screenplay and it was to mark the beginning of a fruitful partnership. The trio’s films included A Room With a View and Howards End, for which Ruth Prawer Jhabvala collected the Academy Award in 1987 and 1993 respectively. Both were adapted from novels by EM Forster. The novelist was nominated for a third Oscar in 1994 for the script for The Remains of the Day. Actress Emma Thompson, who starred in The Remains of the Day and Howards End, said of Ruth Prawer Jhabvala in 1993: “She’s a novelist, so she understands the art of adapting novels better than most anyone else.